This attraction is perfect for younger children and is one of our unique activities exclusive to Pick ‘n’ Mix Events! 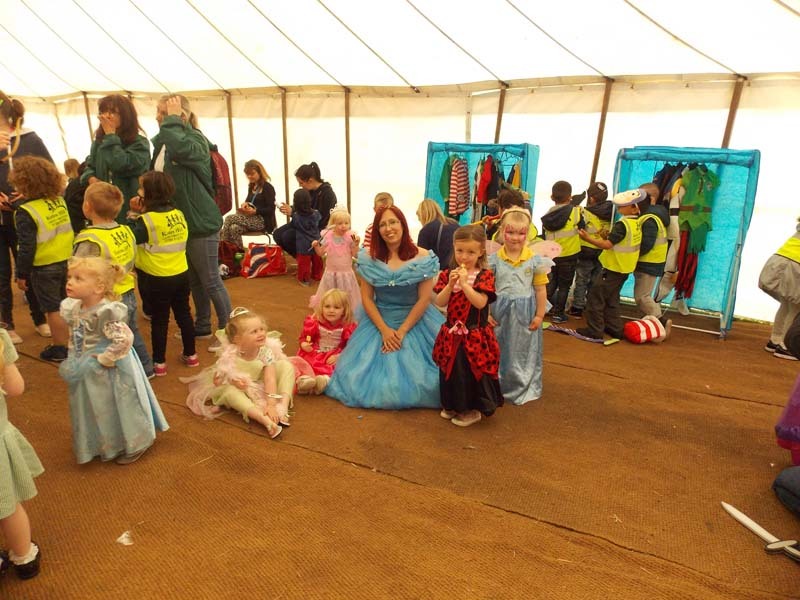 Magical Dress Up was created by our experienced Event Management Team after noticing there always seemed to be limited entertainment for under 5 year olds at most of the events we attended. We are pleased to offer a whole range of Under 5’s Event Entertainment. Young Children love to dress up and play. Magical Dress Up can stimulate their imagination and take them to a far-away world of knights and dragons; superheroes and villains; or princesses and pirates! Our activity includes a selection of dress up costumes, complementing themed props and toys, a themed supervisor and a selection of interactive activities for the children to join in throughout the visit. Magical Dress Up can cover almost any theme or season, just contact us with your requirements and we shall do our best to help. Magical Dress Up can be held either inside or outside in our own gazebo with ground sheets (weather dependant). If you would like to make our visit even more memorable for the children and families, we recommend you hire our professional Interactive Story Teller who can tell stories to fit your chosen theme throughout the event. There’s nothing more enjoyable than seeing the children dressed up as their favourite character, listening to and participating in our interactive story sessions! Our Interactive Story Teller can be housed in his own 3x3m gazebo, which is filled with bean bags, rugs and cushions to make a cosy, comfortable magical story den…it’s so inviting even the parents will want to join in!